Take a little time to think and review the course forward. New information will come your way and you will need time to take it in and contemplate how it impacts your plans for the future. Don’t look at these changes as a bad thing, because they’re not. You’ll recover some of your freedom and get a better grip on your world that has been out of reach. It will mean changes are coming again, for your betterment and not your detriment. What you learn today will help you adjust your course of action and discover a calmer route forward. You’ll have an opportunity to feel empowered and in better control of your own future. So pay attention and be open to what others have to share. It’s a day of abundance and sharing. Don’t focus on the change, it’s not as much as you may think. But even if it were, change is good and staying the same is limiting your growth on many fronts. 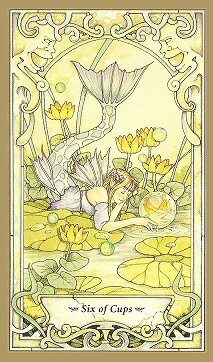 Including the expansion of abundance and security, in heath, relationships and even financial matters. Take in this new knowledge and contemplate how to implement the what you receive and where best to alter the plan. But what ever you do, don’t ignore it or push the information aside. You need this to bring about success and wisdom. No one knows it all, not even you. If you want to fill your cups with abundance you’re going to need to alter some of your perceptions and perspectives. That too is a good thing. Growth means expanding ideas, looking at things differently and being open to new information that provides greater insight. Expand your world today and you’ll find even greater success than you’ve had over the past 3 to 4 months.